I can’t even begin to tell you about how passionate I am with a daily to do list template. I must admit, I can hardly run my day smoothly without my to do list. But with a run down of things to be accomplished on a daily basis, my days tend to be more blissful, more organized, more productive. Without a doubt, a “daily to do list” is my secret weapon to get things done. And today, I am sharing the passion by giving away a set of free printable To Do List planners on the blog! Come browse through and get your own pretty copies! Really, sharing this little freebie makes me excited. I feel like I am sharing a big part of how I successfully run my day. It excites me to think that maybe, somewhere out there, this set of planners will somehow touch someone’s life. And really, I’ll be very glad if that special someone is going to be you! 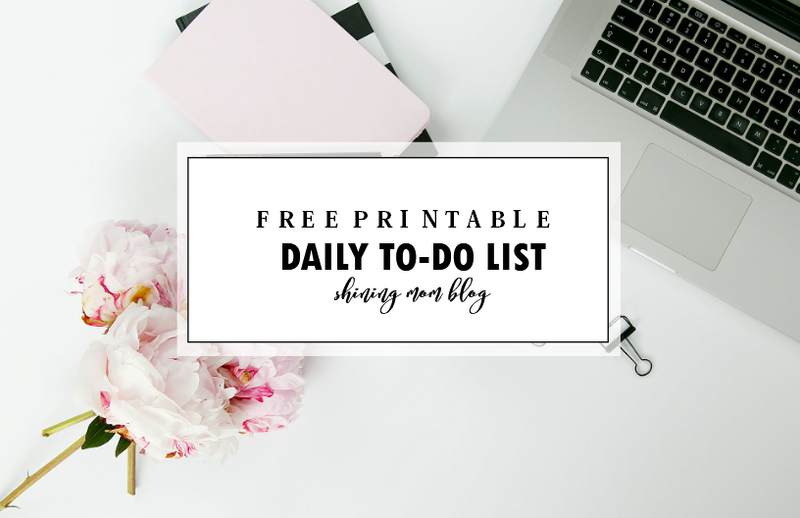 Drastically improve your productivity today with these free printable daily to list! I have created 8 templates to share with you. Although the files are not editable, I’m pretty sure you’ll find a daily to do list template that would fit your needs. Some categories are prelabeled as Major To Do, Exercise, Pending, Noteworthy and Reminders while you can fill in your own wordings to some blank templates. 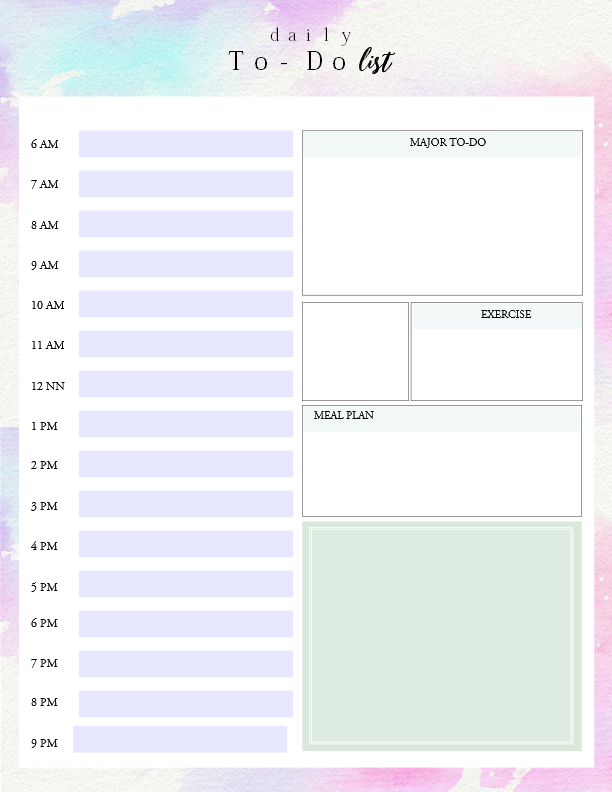 Really, it’s time to get things done with these free daily to-do list planners! If you’ve been following the blog, you probably know by now that I am a huge fan of time blocking. With the time blocking system, you’ll get to plan out what you should be doing exactly by the hour. This system has been helping me a lot to avoid wasting my time! On some days, however, I just feel like running down my to-dos in bullet form. 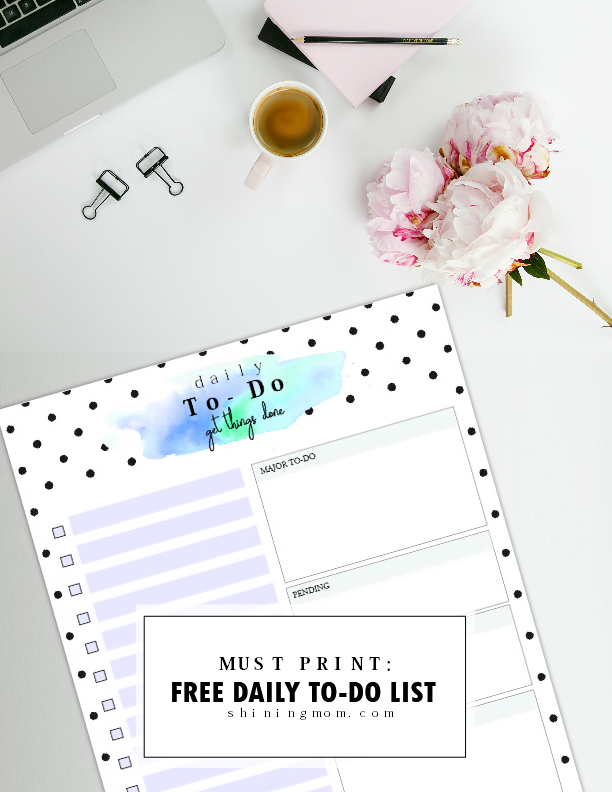 You’ll also find a free printable to do list template that will let you simply whip your day in the form of bullets! Convinced that these To Do List printables will increase your productivity today? Simply go HERE to get you files. Just like most of the free printables I share on the blog, they are designed to be printed in sized 8.5″ x 11″ paper. 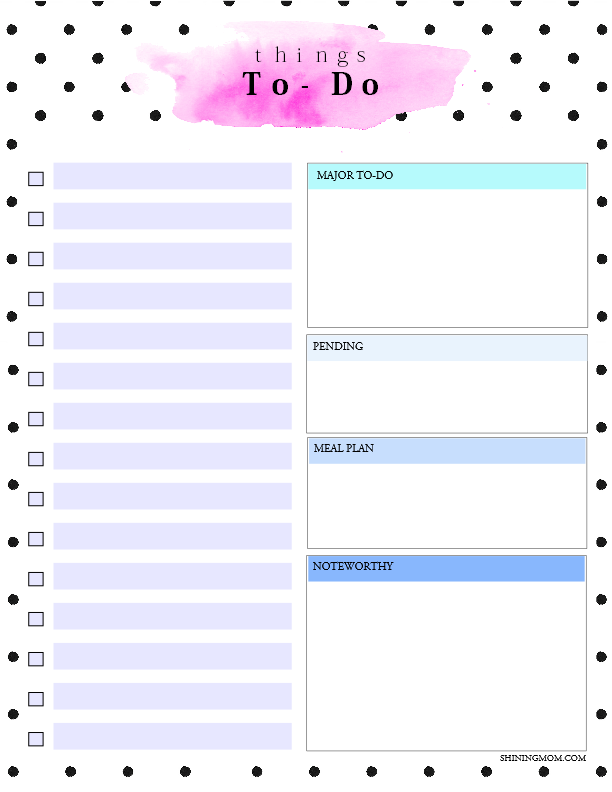 Get the entire file and pick the to do list template that you think you can use. Hi Khaye! Thank you so much. Your beautiful work helps me a lot in my daily personal life & in the office. Hi, Witha! Wow, that’s so wonderful to hear! Thank you! Thanks, Doni! I am glad you like them!